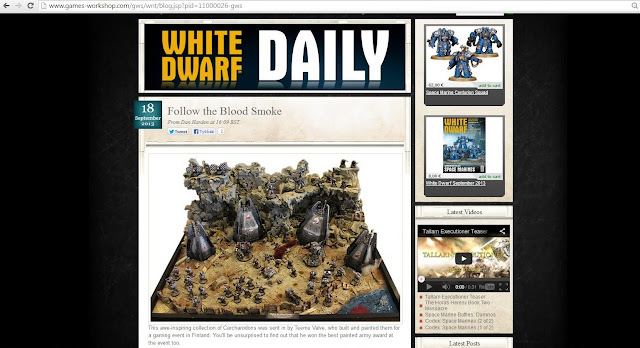 Carcharodonien Task Force Megalodon iski White Dwarf Dailyyn! That's pretty hooah. Mageet! Mukavaa kans et GW esittelee tommosii konffatumpii armeijoit, vaik se truescale meininki olis voinu olla paremmin tuotu esille. Congratulations! This is well deserved, you Sharks are one of my favourite Marines army. May they hunt the ennemies of the Emperor for forever! Thanks everyone! It feels really cool and like a personal accomplishment!